nico. . Wallpaper and background images in the Helden des Olymp club tagged: nico mithomagic hades the heroes of olympus. Hey Hades who's your favorite figurine? Mine's the wine dude! 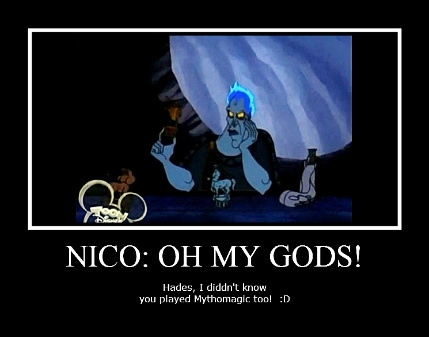 Hades: Oh please, we ALL know I have the best powers. THIS IS A SERIOUS LOL!